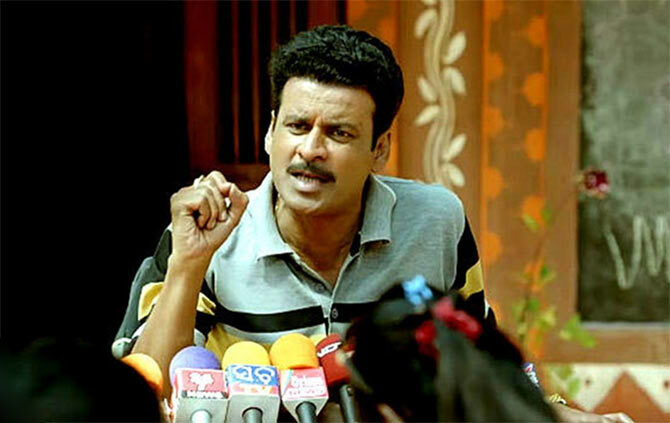 Manoj Bajpayee chats about the children in his life now -- (daughter) Ava Nayla off screen, and Budhia Singh on screen. Manoj Bajpayee was down with a viral infection when Jahnavi Patel/ Rediff.com met him for an interview but he was still ready to go. "There's a job that needs to be done," he says, bravely. Sitting in his vanity van, Bajpayee discusses his latest film Budhia Singh: Born to Run, where he plays a real-life person named Biranchi Das, the man who trained child marathoner Budhia Singh. Bajpayee, incidentally, had been following the real life story when it happened in 2006 -- Budhia ran a record breaking distance when he was just four years old -- and so his research for the character was already done. After Budhia Singh, Bajpayee's next releases are Saat Uchakkey and Missing. The actor says he's currently waiting for the right project to come his way. Until then, "I am without a job, available to anybody," he quips. You said in an interview that it's our country's tragedy that we could not celebrate a four-year-old boy's talent. Is that why you took up this film? Yes, I took it up because it isn't about the achiever -- it's about the talent we keep losing in this country. The other reason was the character of Biranchi Das, the trainer. Some thought he was a hero, others thought that he was a villain. The mixed opinion about him was fascinating. Since then, I have wanted to play this character. When it was written, I got lucky. Could you relate to the character? No, not at all. Except for the fact that he was passionate about nurturing talent, and I am passionate about what I do. He is very brash. He doesn't know how to be nice to people he disagrees with. Besides nurturing a talent, he neglects everything else. You've said that Budhia Singh will be one of the best films of your career. Is it very special for you? You have answered it. It will be special because the story of Biranchi and Budhia is not something we get to hear every day. We don't get to hear that a four-year-old ran the marathon, or that a coach found this boy in the slums and adopted him and focused on his ability. He (the coach) fought with the authorities and every possible opposition in society and in the end, he got killed. We don't get to hear about these kinds of characters. What touched you most about Biranchi Das? What touched me about Biranchi Das was that he decided to have his own kid very late. He was so involved with children from the slums, with children with talent and special abilities that he didn't care about the needs of his own family. This is what was so special about Biranchi; he was such a selfless guy. You did a lot of skipping for this film. I didn't know how to skip. It was a long shot where I am skipping and they had to shoot the sequence without any cut and I had to prepare myself for that. The practice went on for many days in my gym. 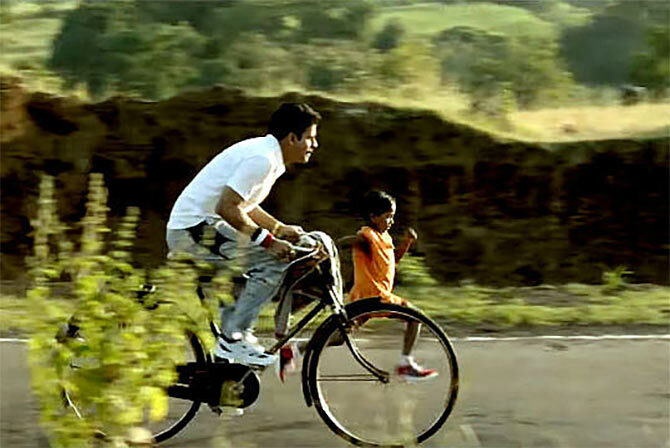 How was it shooting with Mayur Patole, the boy who plays Budhia in the film? Mayur is a very focused and disciplined child. He comes from the slums in Pune. He is not a spoilt middle class kid or a child actor, who is used to being pampered on the sets. Whatever he was getting, for him it was a perk. Somehow, he followed the instructions and discipline of the shooting. What does your daughter's name Ava Nayla mean? Ava means bird and Nayla means a great beginning. Does your daughter watch your films? She has seen a bit of Tevar, but she didn't like it because there's too much maar peet (fighting). She loved the song Superman Salman Ka Fan. She wanted to meet Arjun Kapoor. I introduced them during a show of Aligarh and she was quite excited. She can't see her father's films because he does only content-driven films. She can't see them right now. Who is her favourite Bollywood actor? Salman Khan, and after that, Arjun Kapoor. Do you get enough time to spend with your daughter? Definitely. I am not working, I am only promoting films (laughs). This year, I was only promoting films. 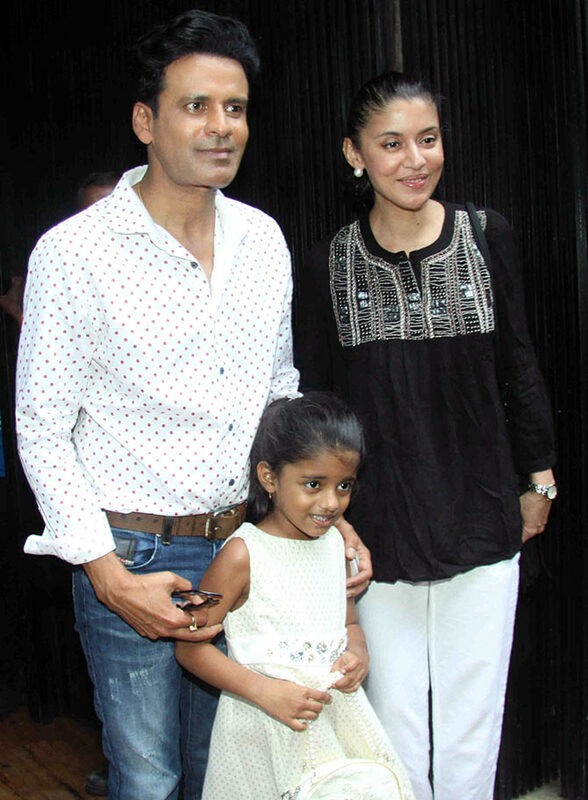 Why don't we see your wife, Neha in the movies? She will be, as soon as my daughter grows up a little. Right now, she is open to doing ads and other short-term stuff so that she can concentrate on the child. Have you watched Neha's debut film Kareeb? I think Kareeb was fantastic. I think she (Neha) is the most beautiful for me. Will we see you in a film together? Hopefully, yes, let's see. I would be the happiest if that happens. Which of your films is her favourite? She has too many. She loved Shool, Aligarh, Pinjar... 1971 is her favourite actually. Is there any film you wish you hadn't done? There are five or six films, five or six mistakes in my career. But I won't name them.